separately or stacked as shown in the photos. Notice that I added a Yellow Litorina shell to the center. 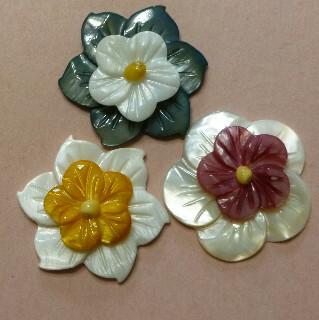 The petals of the flowers are made of Apple Blossoms and the center is made using the “V” shaped pieces from the mouth of the urchin. The stem is fabric covered wire from the craft store. Bend a tiny loop in the end of the wire and start gluing the Coquina tightly grouped to hide the end of the wire. When that glue dries continue to add shells, overlapping the last row. Sorted Shells 1/2" to 7/8"
Red – 5/8" to 3/4"
The stem is fabric covered wire that is heavy enough to hold up the large rose. Make a small loop in the end of the wire and cover with cotton to form a ball on the end of the wire. Coat the cotton with tacky glue and let this dry. 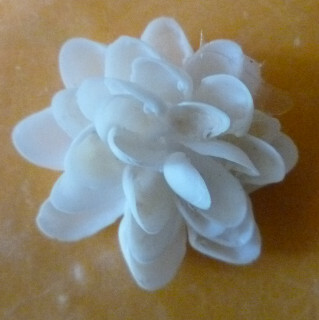 Glue the Jingle shells around the ball to form the tight petals of the center of the rose. The cotton should be totally covered. Glue more and more Jingles to the rose until it is the size you need. Use the smaller shells near the center and larger shells on edge. 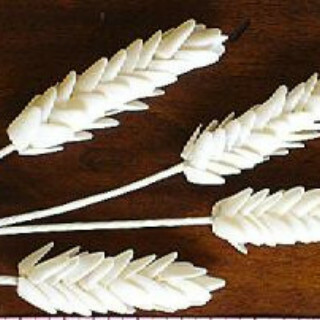 Colors – 1/2" to 3/4"
cut pieces 6" to 8"
It is easy to create your own boutonnieres and corsages with white fabric covered wire, floral tape, ribbon and needle and thread. Wrap wire tightly on the bottom of each piece of coral. You may want to add a dot of tacky glue to make sure it is secure. 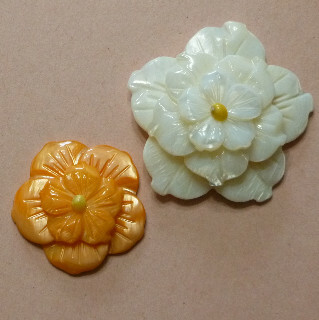 Make the tiny flowers and when dry, glue each to a piece of wire. When the glue is dry, put all of the wires together and secure the bundle using floral tape. For a finished look, cover the floral tape with ribbon and using the needle and thread, secure the end of the ribbon with a few stitches and tie several knots. Add a bow and just before the wedding add fresh Baby’s Breath to fill in around the flowers. Use a corsage pin to hold in place. 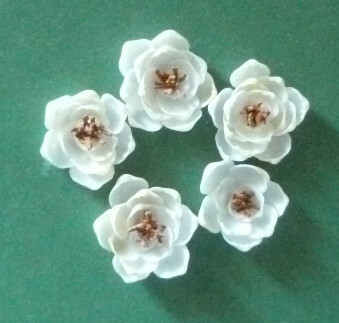 This flower was made as a boutonniere with a tie tack glued to the back. 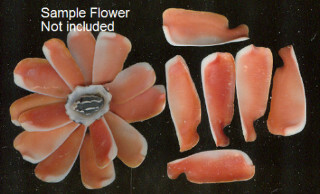 Redfish scales were used to make this flower, but you can use any kind of fish scales. Fish scales dye very easily. You can use food coloring, egg dye, ink or Rit Dye for clothing. Most any dye will work.